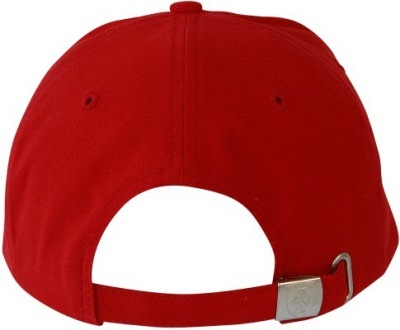 Ferrari Hi-Lite Peak Volume Hat - Red. Classic 6 panel cap in 100% brushed cotton twill. Contra colour elliptical insert on front of peak. 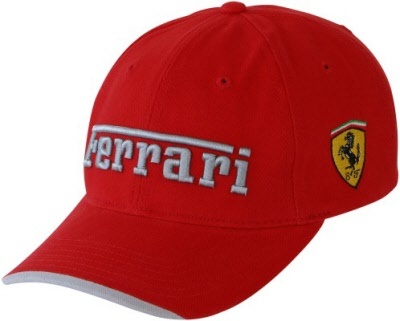 Volume Ferrari embroidery on front, embroidered Ferrari racing shields to both sides. Embossed shield metal closure on back adjuster.